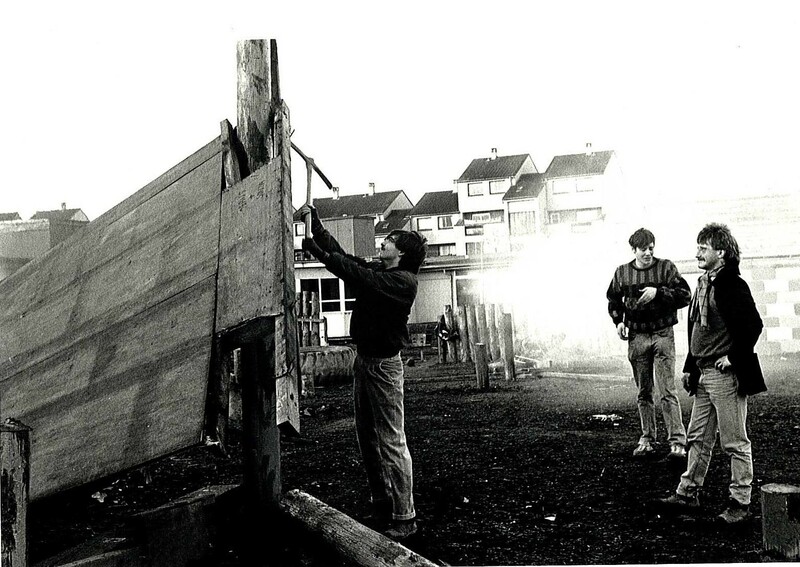 The success of The Venchie encouraged other neighbourhoods to set up similar playgrounds. 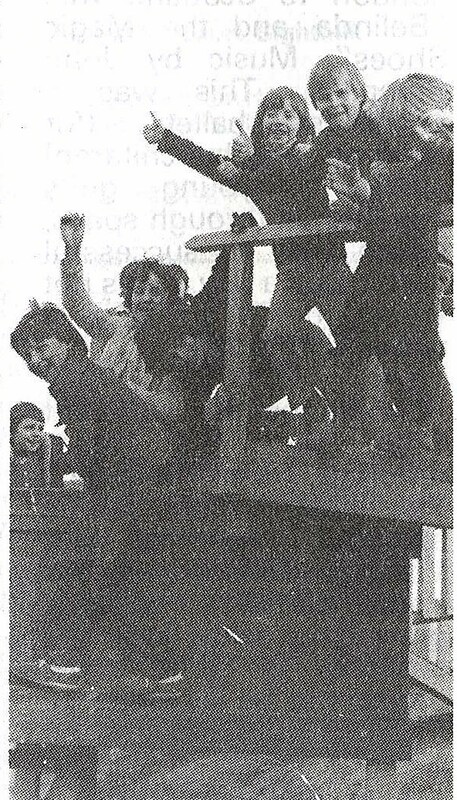 In 1977, a group from the Calders worked together to try and establish supervised play facilities. They faced similar funding issues and had to wait until 1980 when funding was secured through the Youth Opportunities Programme. The Calders playground was sited on the edge of the Calders housing development. It took longer to build as funding for the work needed to be worked out. In the end, a Y.O.P. scheme was favoured with trainees carrying out the construction. You can read about the plans for the Calders Playground by clicking here on Calders in the Sentinel. Local residents from Hailesland, Dumbryden, Kingsknowe and Longstone formed a group to set up a playground for their children. They built the Quarrie Venchie during 1980 and 1981, next to the Cleansing Department Depot in Dumbryden. At the same time, a community base was built, creating an area for the whole community to use. 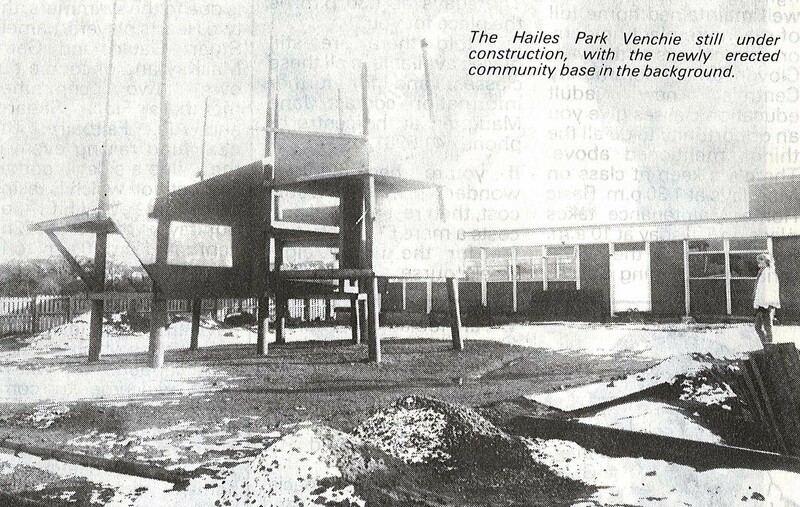 You can read about the work and activities by clicking here on Hailes Park Sentinel. Clovenstone residents were also looking for land for a playground and when a lease came up for some land on the edge of Clovenstone, they were able to have a playground built there. Work had to be put into getting planning permission as the playground was sited on land belonging to the Education Department. The team responsible for the playground also had to build strong links with the school, forming a partnership to ensure the area could be used to its full potential. You can read about the Clovenstone Venchie by clicking here on Clovenstone Venchie. A lthough the playgrounds were developed separately and had their own committees, they worked together to co-ordinate activities across Wester Hailes. 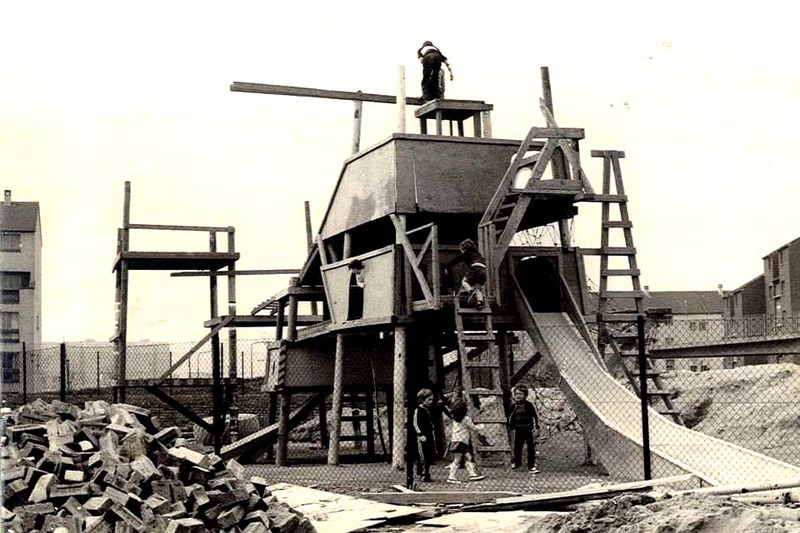 In April 1981, the Wester Hailes Play Forum was set up to manage all four adventure playgrounds and to co-ordinate their activities. They also prioritised involving children and young people in the decision-making about the playgrounds- what should be provided, how the areas should be developed, what activities could be organised and run. This meant that local children felt that the playgrounds belonged to them and were somewhere they could meet up safely. 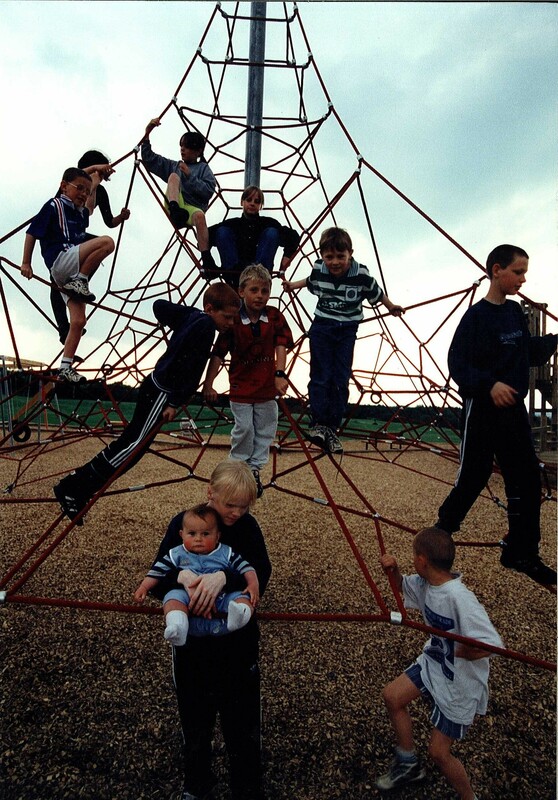 Play was supervised and children were encouraged to take an active role in deciding what the playgrounds should have in them and what changes needed to be made over the years. 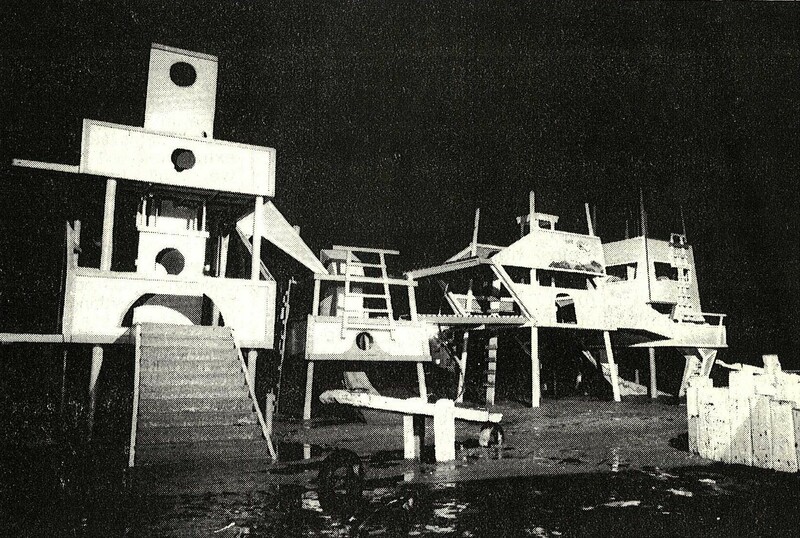 The report, “Wester Hailes Ten Years On” makes the point that the Venchies were built and adapted over the years to reflect what children were asking for rather than being an adult’s idea of what children wanted. I lived in the calders yet I remember the venchie which was next to the portacabin offices (Am I right in recalling those were the Sentinel offices) up near Clovenstone the most. 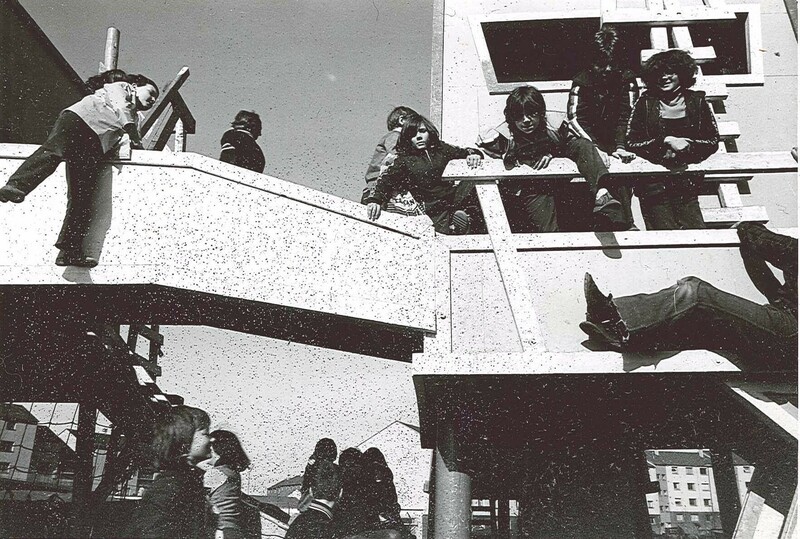 What a brilliant time we had playing on that whilst my Mum was inside (she wrote a music column for the Sentinel and I used to help deliver the paper to the high rise flats). In 1979 i lived in calder drive and would quite often at the age of 14 walk to the venchie and play with the local s there,such fond memories.At the time i found the venchie playground a great meeting place for making new fiends from around the calder and wester hailes and clovie areas.The site itself was well thought out and developped progressively into a play area in which i would have been unable to imagine even in my longest daydreams .